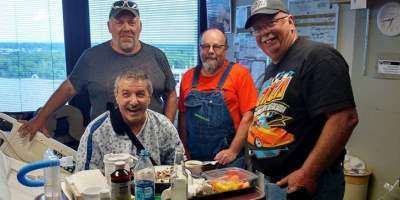 Nitro Harley dragike legend Larry “Drums” Brancaccio, 57, of Nutley, N.J. underwent successful surgery to repair fractures sustained during a high speed crash May 29th at the IHRA Nitro Jam at Cordova International Raceway, in Cordova, Ill. After an impressive run of 6.37 at 214 mph in the second round of qualifying, Brancaccio was unable to stop and crashed into Cordova’s pea-gravel, sandtrap-like suppression area. 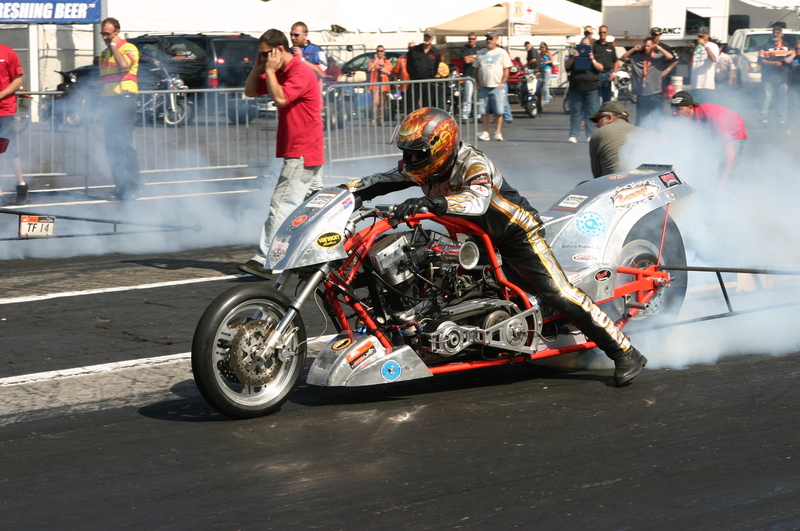 Larry Brancaccio, Dan Driscoll and the Kobernusz Nitro Harley team. “It appears he went off the end of the racing surface at a very high rate of speed. I do not know and wouldn’t venture to guess why that was the case,” IHRA President Scott Gardner said. “I don’t know if there was a mechanical issue or what might of happened. I’m just really happy Drums is doing well and hopes to go home on Monday. Drums was transported to the University of Iowa Medical Center’s Trama Unit after the accident. After a few days of intensive care and surgery Brancaccio’s condition has greatly improved. 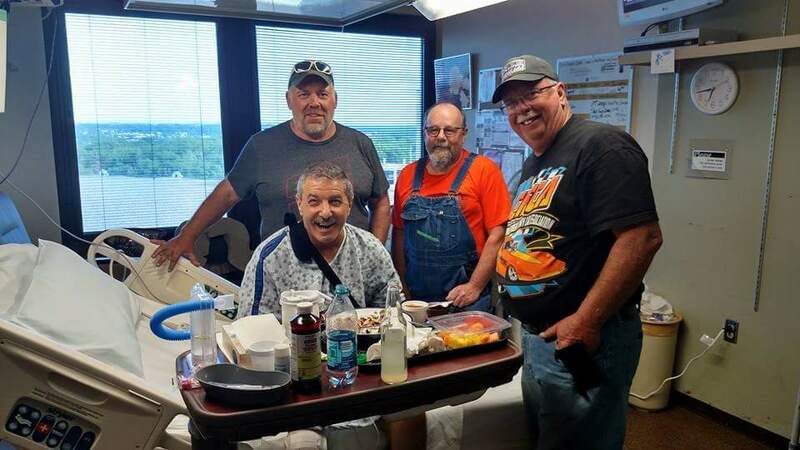 IHRA Director of contingency sales Dan Driscoll, who shares a close personal connection with Brancaccio, was able to visit the Nitro legend after surgery. Gardner echoed the positive sentiment. “We at team IHRA are very happy to see Drums making significant progress and in good spirits,” Gardner said. GET WELL SOON DRUMS. WISHING YOU THE BEST. WISHING YOU A SPEEDY RECOVERY.FROM NORCROSS GA.
….. Get some rest Son ! Heal quickly Drums! Glad to hear you are doing better. Hi Larry, So happy to see you are doing better! Hope your recovery will be a speedy one. Take good care and know that everyone sending their good wishes to you! Just heard about your excursion. Glad the tracks are moving to more friendly shutoffs than some in the old days. You’ve already heard the tales. Check in sometime…I have a little research project going on Nutley. Meanwhile…do what the PT and OT folks tell you to do ! You look good! I be back around to see you again soon. Hi Larry, it’s Vinnie’s sister Maria. I hope you’re healing quickly and feeling better. Think if you often.